All new sounds, better quality wavs, plus extra sounds added. HAL 9000, the robot/computer gone wrong from the film 2001: A Space Odyssey. Thanks for any comments! 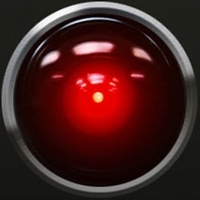 Wow, I was just thinking about Hal 9000 Yesterday......Really cool! foda? what does that mean?